This bracket is for driver side only. There is extra space on the bracket for drilling your own hole pattern, if using a slider with a less common hole mount. Universal design will work with most racing seat designs (Sparco, Momo, NRG). Planted ® - Driver Side Custom Seat Bracket (SB017DR). Planted Technology ® Driver Side Custom Seat Bracket (SB017DR), For 1998 Porsche 996/Boxster/997/Cayman/991. Planted create each seat bracket using the floor of the vehicle as a reference. LIGHTNING FAST SHIPPING FROM USA!!! Authorized dealer. With Cipher seat bracket, you'll be able to bolt everything up and go without a fuss. They have taken all their experience and effort and put it into making clean and tasteful racing seats. 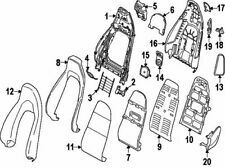 Cipher Auto 1999 Porsche 911 Seat Bracket - Driver Side. With Cipher seat bracket, you'll be able to bolt everything up and go without a fuss. 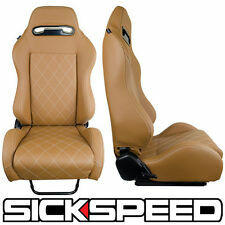 They have taken all their experience and effort and put it into making clean and tasteful racing seats. 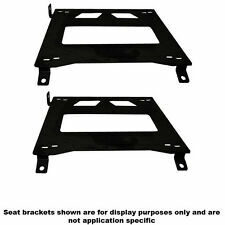 Cipher Auto 1999 Porsche 911 Seat Bracket - Passenger Side.